LOS ANGELES (Jan. 24, 2019) – United Airlines, Champagne Taittinger, Subaru, L'Oréal Paris, FIJI® Water, Cooper’s Hawk Winery & Restaurants, Lindt Chocolates, Reynolds Wrap® and Extra® Gum are among the dedicated corporate partners joining with the 25th Annual Screen Actors Guild Awards® in support of the SAG-AFTRA Foundation, SAG Awards Committee Chair and SAG-AFTRA Foundation President JoBeth Williams announced today. This is the 23rd year PEOPLE has hosted the official Post-Awards Gala, which celebrates the SAG Awards’ financial commitment to supporting the SAG-AFTRA Foundation and SAG-AFTRA members’ philanthropy to the Foundation and to their communities.  The 25th Annual Screen Actors Guild Awards® will be simulcast live on TNT and TBS on Sunday, Jan. 27, 2019 at 8 p.m. ET / 5 p.m. PT. This special year marks the show’s Silver Anniversary, an occasion several sponsors are marking in individualistic ways. These collaborators and corporate partners make valuable contributions. They have made financial pledges to support the work of the SAG-AFTRA Foundation, and many of them opt to enhance the SAG Awards and the Post-Awards Gala with gifts in kind. The SAG Awards is proud of how many of its partners return year after year, and it is delighted to welcome the participation of new partners. United Airlines has been the Official Airline of the SAG Awards from the very beginning of the televised event in 1995, a relationship that celebrates a Silver Anniversary the same year the show does. Its sponsorship is an example of United’s commitment to inspiring creativity, engaging local communities to make a difference, and connecting people in more than just a literal way. United Airlines has received honors for its Eco-Skies sustainability commitment from organizations including the GBTA Foundation and Audubon International, and for its diverse employment practices. PEOPLE is hosting the official Post-Awards Gala for the 23rd year in a row. The Gala honors the charitable efforts of actors in their communities and caps off the sponsors’ annual donation to the SAG-AFTRA Foundation. Additionally, in gratitude for the countless hours that actors and the entertainment community have volunteered to help with its work, Stand Up To Cancer (SU2C), a division of the Entertainment Industry Foundation (EIF), will make a $125,000 grant to the SAG-AFTRA Foundation’s Catastrophic Health Fund. PEOPLE and EIF have partnered with the SAG-AFTRA Foundation for more than two decades. As part of the Gala’s festivities, each guest will receive a stylish and functional bag from LUG. Champagne Taittingerwill open the famous SAG Awards red carpet with a toast of its signature bubbly, as it has every year since 2001. The distinguished vintners will then complement the Gala with bottles specially chosen from their famous caves. Additionally, actors entering the SAG Awards showroom will be asked to sign a Methuselah Champagne Bottle; this totally unique bottle will be auctioned to benefit the SAG-AFTRA Foundation. Champagne Taittinger will acknowledge each signature with an additional contribution to the Foundation’s critical Emergency Assistance program, which supports actors and their families in times of urgent need. Subaru of America, Inc. has been a proud SAG Awards partner and on-air sponsor since 2004. The all-new 2019 Subaru Ascent – the biggest Subaru ever – will be on the red carpet to help announce the automaker’s generous support of the SAG-AFTRA Foundation. The automaker designed the family-sized Subaru Ascent to be adventure-ready, with flexible seating for up to eight passengers, standard Symmetrical All-Wheel Drive, and other practical and comfortable features families will appreciate. L’Oréal Paris has been part of the SAG Awards, the official Post-Awards Gala and the televised experience since 2007, commitments that express the company’s philosophy of endorsing the courage and achievements of women everywhere. On a more immediate and practical level, L’Oréal Paris experts and its range of award-winning products are on hand during the evening to assist attendees and guests with any desired touch-ups. FIJI® Water, the number one premium bottled water in the United States, returns for the eighth consecutive year as the Official Water for the nominees, presenters, union officials and industry executives attending the SAG Awards and official Post-Awards Gala. Its iconic square bottles will be available throughout the evening along with FIJI’s signature, reusable FIJI Straw. Bottles on the tables will be adorned by FIJI Water’s custom-designed Silver Sleeves, an elegant touch that befits the SAG Awards Silver Anniversary. Cooper’s Hawk Winery & Restaurants, the lifestyle brand centered around wine and food, focused on creating memorable moments that enrich lives, returns as the Official Wine of the Screen Actors Guild Awards. To salute the show’s Silver Anniversary, Cooper’s Hawk has developed a limited-edition wine named the “Artist’s Red Blend,” complete with commemorative label and cork. It will be served during the show, at the Post-Awards Gala, and in its restaurants during live 25th SAG Awards viewing parties. Chopin Imports will once again be the exclusive spirits of the SAG Awards and official Post-Awards Gala, featuring its signature Chopin Vodka and Dorda Liqueurs. For the third year in a row Chopin’s luxury brands will be the heart of cocktails – made with recipes devised specially for the SAG Awards Silver Anniversary – that will be served to nominees and other special guests. These artisanal cocktails will be created by mixologists throughout the evening. Reynolds Wrap® is a first-time sponsor who is joining the event in a spectacular way. Inspired by the SAG Awards Silver Anniversary, the company is reimagining the traditional red carpet by contributing a custom Silver Carpet for nominees and guests to walk down, reflecting the color of its iconic Aluminum Foil. Reynolds Wrap® Aluminum Foil—which includes Non-Stick and Heavy-Duty options—is a versatile tool that flexes in the kitchen or on the grill to line pans, create foil packets, store leftovers and much more. Lindt Chocolate debuts as the Official Chocolate Confectionary of the SAG Awards. The premium Swiss chocolatier is providing Lindt’s signature LINDOR truffles to the Screen Actors Guild Awards tables. The immediately recognizable red-wrapped milk chocolate LINDOR truffles will be available throughout the show, and each dinner table will include gold gift boxes of assorted truffles. SAG-AFTRA members contribute time, talent and funding toward the SAG-AFTRA Foundation’s endeavors as part of their work with charitable causes. By choosing to sponsor the SAG Awards, these partners prove they understand how important the ceremony on TNT & TBS is to their companies' values, and that they realize the SAG-AFTRA Foundation’s initiatives make important contributions to performers, their families, and to society at large. The SAG-AFTRA Foundation is a philanthropic 501(c)(3) non-profit organization that provides vital assistance and educational programming to SAG-AFTRA professionals while serving the public at large through its award-winning children’s literacy program Storyline Online®. For more than 33 years, the Foundation has granted more than $19.8 million in financial and medical assistance, disaster relief and scholarships to SAG-AFTRA members and their dependents. In addition, the nonprofit has offered 8,350 free educational workshops, panels and classes SAG-AFTRA artists nationwide. Further, its Emmy Award nominated children’s literacy program Storyline Online has brought the love of reading to more than 225 million children worldwide. The SAG-AFTRA Foundation relies entirely on grants, sponsorships and individual contributions to maintain its free programs and resources, and is the benefitting charity of the annual SAG Awards. For more information, visit sagaftra.foundation. TNT is basic cable's #1 network in primetime with young adults and is home to one of cable's most popular slates of original series, including The Alienist, Animal Kingdom, Claws, the upcoming I Am the Night, Snowpiercer, Tell Me Your Secrets and The Angel of Darkness. TNT also presents popular shows such as Arrow, Supernatural, Bones and Castle; primetime specials such as the Screen Actors Guild Awards® and the AFI Life Achievement Award; and championship sports coverage, including the NBA and the NCAA Division I Men's Basketball Championship. TNT app available for Xbox One, iOS, Android and other platforms and devices. TBS, a division of Turner, is one of basic cable's top entertainment networks with young adults, and home to the most popular and critically acclaimed comedies on cable —Angie Tribeca, CONAN, The Detour, Full Frontal with Samantha Bee, The Guest Book, The Last O.G., Search Party, and Wrecked— as well as animated series American Dad!, Final Space and Tarantula. TBS' slate of unscripted series includes competition show Drop the Mic and Snoop Dogg Presents The Joker's Wild. Upcoming comedies include Miracle Workers and Close Enough. In addition, the TBS lineup includes popular comedy hits like Brooklyn Nine-Nine, Family Guy, Bob's Burgers, The Big Bang Theory, New Girland 2 Broke Girls; blockbuster movies; and live coverage of Major League Baseball's regular and post-season play, the NCAA Division I Men's Basketball Championship and ELEAGUE, Turner's eSports gaming competition. The TBS app is available for iOS, Android and other platforms and devices.